I’ve been pretty lucky with my adventures so far. Although they don’t always go according to plan and I’ve lost count of the number of peaks I’ve failed to climb, I’ve never experienced a major disaster, and while some have been more memorable than others I’ve always been able to enjoy them regardless of whether they were successful. I had a chance to reflect on this while I was sheltering in a mountain hut in Patagonia over Christmas reading Tempting the Throne Room, John Quillen’s account of his attempt on 8047m Broad Peak, the world’s 12th highest mountain, last year (note: if you’re thinking of reading it this post contains spoilers). The title is a reference to Galen Rowell’s book In the Throne Room of the Mountain Gods, a name he gave to Concordia, the junction of the Baltoro and Godwin-Austen Glaciers in the heart of the Pakistan Karakoram. I’ve been in touch with John on and off since 2009 when he and a group of friends had been due to join us on our expedition to climb Gasherbrums I and II. On that occasion he ended up pulling out of the expedition due to concerns about the security situation in Pakistan. Ironically he eventually travelled there last year at a time when the situation became immeasurably more dangerous. Last year was one of the unhappiest years for mountaineering in the Pakistan Karakoram in a long time, for reasons I have detailed in a previous post. Sadly for John virtually everything that could go wrong with his expedition did, from the very first day of his arrival in Islamabad, when he discovered his tour operator Field Touring Alpine had failed to obtain the necessary climbing permits for Broad Peak. Unimpressed by their response by email that the team should trek up to the mountain and climb it illegally, John and his companions bought additional trekking permits which enabled them to walk up the Baltoro Glacier to base camp, hoping that permission to climb would be granted in the meantime. In the end it was granted on the very day they were due to begin climbing, after a great deal of unnecessary stress and soul searching. But this was the least of their problems. As they spent a rest day in Paiyu, the last little oasis of green among the towering rock cathedrals of the Braldu Valley, they heard about the massacre on nearby Nanga Parbat. 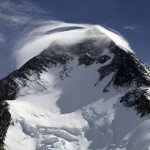 A group of Taliban had marched into base camp and gunned down eleven mountaineers in cold blood. As an American citizen John was naturally more nervous about travelling through Pakistan than those of us from other countries. Since 2004 the US government has carried out hundreds of drone strikes in Pakistan’s northern territories, resulting in a great many civilian casualties. John recalled his feelings when he heard about the massacre. They had nothing to fear from their porters – they even made it to base camp without the usual unscheduled rest days due to Balti porter strikes – but they had everything to fear from the mountain. Their climb was going to schedule when John’s climbing partner Brian Moran broke his leg descending from Camp 2. An epic rescue followed, involving John himself, his Iranian team mate Mojtaba Jarahi, and a team of Pakistani high altitude porters. 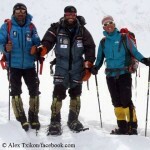 John may have saved his friend, but he could do nothing to save his three Iranian team mates Mojtaba, Aidin Bozorgi and Pouya Keivan, who made a first ascent of Broad Peak by the Southwest Face, but lost their lives when they became lost in a whiteout on the descent. The majority of the book is a personal day-to-day account of John’s expedition, but he devotes the final part to an analysis of the Iranian tragedy, and it’s as good an account as you will read in English. He deals with the facts objectively, but implicit in the title is a suggestion that Broad Peak should be treated with respect. It’s easy to draw the conclusion the whole expedition was an unmitigated disaster from start to finish, but there is an uplifting element to the story in the friendship that developed between the American and Iranian team mates. A light-hearted example of this was when Afshin gave John a haircut and shave, and when John looked in the mirror he realised he had been turned into an Iranian by careful coiffuring of a stylish moustache. When he telephoned his family from Skardu after being evacuated from base camp by helicopter with Brian, his father reminded him that he was still in “enemy territory”, but his story exposes the fallacy of this point of view by reminding us that if we put political differences aside, there is much more that unites cultures than divides them. John’s book is well worth a read for anyone with an interest in mountaineering in Pakistan. It’s worth setting some expectations if you’re thinking of buying it. The book is largely self-edited and is far from being a professionally produced travel book. IMHO, there’s nothing wrong with this and it would be deceitful of me to claim otherwise, since neither are my own travel diaries that I sell on Amazon and other online bookstores. 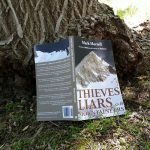 Somebody recently gave my account of my own expedition to the Karakoram a one star review after comparing it with Wade Davis’s Into The Silence. Davis’s monumental book about Everest won the Samuel Johnson Prize for non-fiction, took him over a decade to write, cites several hundred sources and an even greater number of collaborators in the acknowledgements, including a large editorial team from a major publishing house. To compare it to my own self-edited journal which I scribbled down in a tent on a glacier and typed up myself when I got home is a bit like going to see Real Madrid play Barcelona at the Bernabeu Stadium, then watching a pub team play down your local park and complaining the pitch is too muddy and some of the players appear to be hungover. If those were my expectations then I would have given myself a one star review as well. In his closing summary John describes how he hesitated about writing an account of his expedition so soon afterwards, while the emotions were still raw and without the benefit of a fresh perspective over time. In doing so he compares his experience to that of Jon Krakauer, who also wrote his classic account of the 1996 Everest tragedy Into Thin Air soon after the events it described. But this isn’t really fair either. Krakauer was a professional journalist with years of writing experience, contacts in the industry and again, most importantly, a large publishing team to help him polish the book every step of the way. John, on the other hand, is a youth worker, and as far as I’m aware this is his first go at writing a book. We’re entitled to make our work available and build up an audience as we learn the tools of the trade, and now we live in an age when we can. 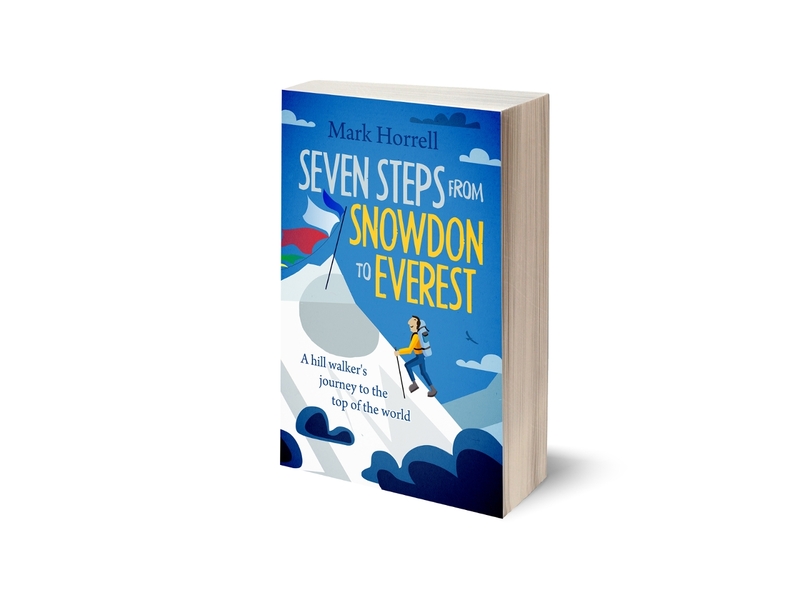 Please take the book for what it is: an honest, heartfelt and genuine account of an expedition that went wrong, and a great tribute to the three Iranian mountaineers who lost their lives on Broad Peak. Note: John sent me a free copy of this book to review.